We, like many Christians, applaud US President Trump for doing what is right and by announcing to the world that the USA will move their embassy from Tel-Aviv to Jerusalem. Jerusalem has been Israel's Capital ever since King David and significantly important since Abraham met with King Melchizedek from Salem, Ancient Jerusalem. The city has been chosen by God to be His capital for His people and nation. It is ludicrous to think that the world can tell America where they must place their Embassy and certainly this has taken so long! But, now that it has what are the ramifications...? Firstly, this reverses the awful Obama inspired UN resolution one year ago where East Jerusalem, including the Western Wall, Hebrew Quarter, and Hadassah Hospital were considered illegal. Trump not only reverses the harsh Obama UN Resolution unilaterally - but granted Israel the respect it deserves! Now, Jewish families can put Israel on their passports if they are from Jerusalem without a lawsuit here in America. Thank you, President Trump! God told Abraham whoever blesses the people of Israel shall be blessed. So, shall it be written, so shall it be. May God bless President Trump and Vice-President Pence. Secondly, with that said, dangers lurk. What does Trump's peace initiative look like? We know it will be revealed within a couple of months. Will this be a final agreement signed by Israel and her Arab neighbour’s by-passing the Palestinians? We think it could very well be …and then we will have a treaty with nations as the Bible predicted. Also, will Trump stand by Israel's side if violence does erupt? We believe that he will. However, we do know during the Ezekiel 38/39 Gog/Magog War no one will stand by Israel except God. Thirdly, what will come about the December 13th Islamic Conference that took place in Turkey? If nothing comes about it, then there is not much anger out there. In Israel we saw the re-start of rockets being flung over from Gaza in retaliation but most were intercepted by the iron-dome. There will be violence as we saw take place the moment President made the announcement to move the Embassy, and some of it may be quite serious, but will the nation states raise arms, or will Hezbollah or Hamas provoke a war against Israel? It is really all up to Russia. If Russia does not want to, then they will not. Right now, we suspect some rockets, stones thrown, and maybe some serious violence in Israel's streets will continue, but it will be short lived. Time will tell! We do not think at this moment the Ezekiel 38 war is on the horizon - but then only God knows. Ezekiel does speak of a time Israel lives in peace, and it will be a surprise, so in essence it is a wait and see. It has been a good day for Israel with this announcement. However, Liberals are having fits, and Satan is upset for sure. The “Christian leaders” that condemn this move are men that have polluted the cloth and are what God calls lukewarm. They are the political religious leaders that; do not want to see Israel fulfil Scripture prophecy and are still in replacement theology! Sadly, they do not know what they are doing! Once in a while, good things happen and we are privileged to see prophecy being fulfilled right before our eyes! Yes, prophecy has just reached an important and critical point and the picture which represents Jerusalem above all will politically be owned by Israel, including the Temple Mount!! That is how important this move is! God knows exactly what He is doing and NOBODY can stop God’s will for Jerusalem. The EU and the UN are NOT happy …and we know one day the Antichrist, which comes from the EU, will perform the “abomination of desolation” in Jerusalem (Daniel 9:27). President Trump’s decision that was the most pro-Israel decision of any President since Harry S. Truman's support of Israel's rebirth in 1948 …and is coinciding with Israel’s 70th birthday in 2018! We believe that one of the most important events in American history was Harry Truman’s recognition of Israel on May 14, 1948. America’s friendship toward Israel has not always been perfectly consistent by any means …BUT, the fact remains that America has been Israel’s greatest friend in modern history, and that is significant! God told Abraham, the father of the Jewish Nation; “And I will make of you (Israel) a great nation, and I will bless you (Israel), and make your (Israel) name great; and you (Israel) shall be a blessing. And I will bless those that bless you (Israel), and curse those that curses you (Israel) and in you (Israel) shall all the families of the earth be blessed,” Genesis 12:2-3. On this authority there can be NO doubt that one of the chief reasons for God’s blessing on America has been her blessing of Israel! Harry S. Truman (1884-1972) was Vice President under Franklin D. Roosevelt and became president when Roosevelt died early in his third term in April 1945. Truman subsequently won the presidential election in 1948 and was president for eight years. Nothing is coincidental to God! President Truman just like President Donald Trump were chosen by God for Israel! Truman asked for Norris’s opinion on the Israel situation. Here’s an extract from a letter on the 02nd October, 1947 – Quote; "Dear Mr. President. Mr. Matthew J. Connelly wired me New York October 1st and suggested that I write you certain matters of my trip to Palestine. First, I want to thank you for your very kind personal letter of August 5th, which was of invaluable assistance in all my travels. I have given extensive study to the Jewish Palestinian question. The issue is whether we will take the authority of the Bible of our mothers - or the Koran with the sword and flame? In, that whole controversy the big issue is who owns the land, who has the title to that land? If that question is settled there is no other question! The Lord God Almighty in Genesis the 17th chapter, specifically states that the title to Palestine is given NOT to Ishmael, the ancestor of the Arabs, BUT, to Isaac and his seed for ever! "And God said, Sarah your wife shall bear you a son indeed; and you shall call his name Isaac: and I will establish my covenant with him for an everlasting covenant and with his seed after him," Genesis 17:19. This covenant was confirmed to Isaac in; Genesis 26:3, "Sojourn in this land, and I will be with you, and will bless you; for unto you, and unto your seed, I will give all these lands, and I will perform the oath which I swore to Abraham your father." This covenant was also confirmed to Jacob in; Genesis 28:13; "And, behold, the LORD stood above it, and said, I am the LORD God of Abraham your father, and the God of Isaac: the land whereon you lie, to you will I give it, and to your seed"
The covenant was likewise confirmed to Moses in; Deuteronomy 30:3-5; "That then the LORD your God will turn your captivity, and have compassion upon you and will return and gather you from all the nations, where the LORD your God has scattered you. If any of you are driven out unto the outmost parts of heaven, from there will the LORD your God gather you, and from there will he will fetch you: And the LORD your God will bring you into the land which your fathers possessed, and you shall possess it; and he will do you good and multiply you above your fathers. David specifically states the title to that land is to the Jews and the descendants of Jacob in Psalm 105:9-12; "Which covenant he made with Abraham, and his oath to Isaac; And confirmed the same to Jacob for a law, and to Israel for an everlasting covenant: Saying, ‘Unto you will I give the land of Canaan, the lot of your inheritance: When they were but a few men in number; yea, very few, and strangers in it.’" Thirteen hundred years ago the Arabs were usurpers, Mohammed with fire and sword, and they were robbers of property that belongs to the Jews! A second and very important authority in addition to Scriptural authority, Great Britain was given mandate over Palestine for the purpose of Jewish immigration into that land and for making it a national home. This mandate was confirmed by the United States Government and by the 57 Nations of the League of Nations. The tragedy and the cause of all the present trouble is that Neville Chamberlain, Prime Minister, put on a two-fold appeasement in 1939; first with Hitler and that brought on World War II. Second, with the Arabs, who were the allies of Hitler! Chamberlain violated the international law giving that land as a national home for Jews in 1939, and said only 70,000 Jews would be permitted to go for the next five years, and after that none except by the consent of the Arabs, But, the mandate made no such restrictions! Therefore the present Jewish immigration into Palestine is NOT illegal – its Legal! 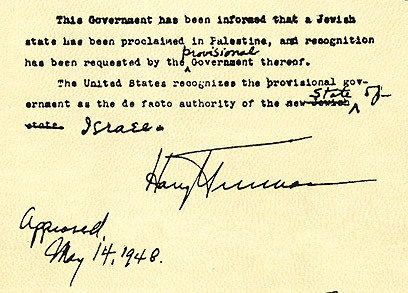 Based on the mandate given to Great Britain over Palestine, and confirmed by the United States Government and confirmed by the League of Nations, the Jews invested six hundred and fifty million dollars in Palestine, built cities, public works, and the curse of God Almighty is on every hand that violates this most solemn agreement – the mandate three times over confirmed (by God). Now, Mr. President, it certainly is a matter that should cause us to stop and think that the Arab leaders from the Grand Mufti on down were allies of Hitler, and it ill becomes them to come now into court with their hands dripping with the blood of the Jews, six million of them murdered by Hitler! I interviewed many Arab leaders, and without question I found the whole crowd are for Stalin, just like they formerly were for Hitler. While this country was fighting Hitler, thirty thousand young Jews from Palestine volunteered and went to the battle front and not a single Arab regiment. If the Arabs and Jews in Palestine were left alone they would get along and settle their troubles. Russia is doing everything at her command to foment the trouble. The time has come, and long past, when the United States should keep its promise and take a firm stand for law and order in that land that has given the world its Bible and Saviour (Yeshua – Jesus). Yours very sincerely – signed J. Frank Norris.” Unquote. 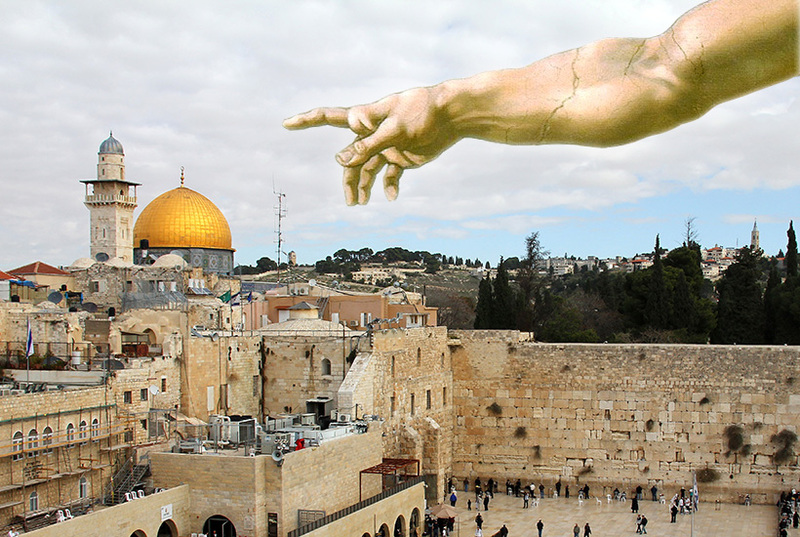 Jerusalem figures prominently in both Biblical History and Biblical Prophecy and it is currently the focus of much controversy and political wrangling. As of December 6, 2017, the United States has recognized Jerusalem as the official capital of Israel, acknowledging the facts of history but rankling the Muslim world. All politics aside, the declaration that Jerusalem is the legitimate capital of Israel and is historically accurate! King David first chose Jerusalem as Israel’s capital 1,000 years before Christ. The city was destroyed in AD 70, but, after World War II, on May 14, 1948, Israel once again became an independent state. The U.S. quickly recognized Israel’s restored status as a national homeland for the Jewish people. Then on December 5, 1949, Israel declared Jerusalem to be its capital again. Unfortunately, other nations have been slow in facing the reality of Israel’s Independence and its right to choose its own Capital. In 1995, the United States Congress passed the Jerusalem Embassy Act, which required the U.S. embassy be moved from Tel Aviv to Jerusalem. However, for twenty-two years, implementation of that law was delayed on the grounds of “national security.” Now, finally, the U.S. has officially recognized the obvious - Jerusalem is the Capital of Israel. This recognition accords with thousands of years of history and the wishes of Israel itself. There are nations who are opposed to recognizing Jerusalem as the Israeli Capital. Muslims in general and Palestinians Arabs in particular …and Muslim terrorist organizations who are so-called “offended” by the thought of Jerusalem being made the legitimate Capital of Israel. This is due in large part to the place the Temple Mount holds as the third so-called holiest Islamic site. According to the Qur’an (Surah 17:1), Muhammad made a “miraculous night journey on a winged horse” in his fantasy vision to “the farthest mosque” from Mecca to Jerusalem in AD 621. But, there was NO mosque on the Temple Mount at this time! The Dome of the Rock, was only built in AD 692, marks the place where Muhammad supposedly ascended to heaven. Today the Temple Mount is under the control of the Jerusalem Islamic Waqf, a trust established in 1187 to manage the Islamic structures in Jerusalem. Under their current rules, access to the holy sites is prohibited to all non-Muslims! It is important to realize a couple things: first, the Israeli government recognizes the rights of Muslims to worship on the Temple Mount, and it works to protect them there. Second, the Qur'an upholds the rights of the Jews to the Promised Land, which includes Jerusalem; “And thereafter Allah said to the children of Israel, ‘Dwell securely in the Promised Land” (Sura 17:104; Sura 2:122; Sura 45:17 and Sura 57:26). Normally, every country designates its own capital, and then nations with diplomatic relations with that country build an Embassy in that City. For instance, when Brazil moved its capital from Rio de Janeiro to Brasilia in 1961, all the foreign Embassies moved as well. The only country in the world whose capital has not been honoured this way is Israel. All of Israel’s government buildings, as well as the residences of the President and Prime Minister, are there. Yet not a single foreign embassy is in Jerusalem. We believe that Israel should be afforded the same right as every other country to choose its own capital. Other countries, including the United Kingdom, should follow the US in recognising Jerusalem as Israel’s Capital and moving their Embassies there. In contrast to much of the perceived wisdom surrounding this issue, such a move would be both just and good for peace. The words of Israel’s first Prime Minister, David Ben Gurion, in 1949 still ring true today: “The attempt to sever Jewish Jerusalem from the State of Israel will not advance the cause of peace in the Middle East or in Jerusalem itself.” Indeed, there can be NO peace without Jerusalem as Israel’s Capital. In Jerusalem today, religious freedom is strongly upheld: all sacred sites are rigorously protected, as are the rights of ALL believers. The rebirth of Israel in 1948 was a vital step in the fulfilment of Biblical Prophecy. The dry bones of Ezekiel 37 - began coming back together. 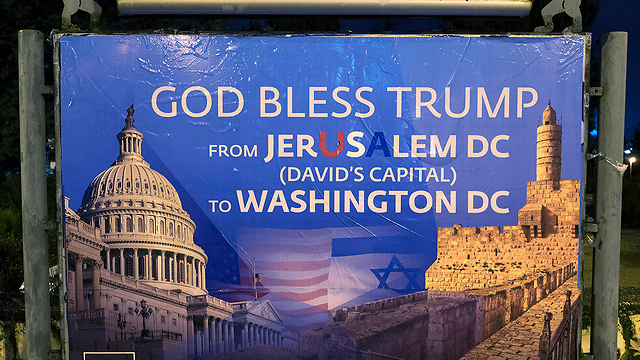 The recognition of Jerusalem as Israel’s true and historic capital is another giant step – Thank you President Donald Trump! The stage is being set for the rest of Prophetic Scriptures to be fulfilled. We may not know all the implications of current events on the “Prophetic Timeline” …but one thing we can say for sure is that Jerusalem is a special City - It is the only city in the world where God has put His Name; “In Jerusalem, which I have chosen out of all the tribes of Israel, I will put my Name forever,” 2 Kings 21:7. The United Nations is a New Age Tower of Babel. It is antichrist, and has long displayed a rabid anti-Semitism. “As the Third World took a commanding majority in U.N. membership and thus the General Assembly (there were 127 members by the end of 1967), the organization lined up against the little land it had once created out of sympathy and justice. The American veto in the Security Council served as Israel’s only shield at the U.N. The Six-Day War intensified the Israeli disdain for the United Nations. 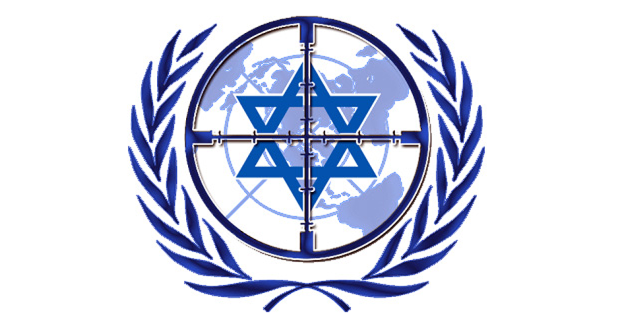 Israeli leaders had long ago decided that they could not trust the security of their country to the U.N.” (Stanley Meisler, United Nations, p. 183). As we have turned the page on a mostly unstable 2017 in the Middle East and shift our attention toward what will likely be an explosive year in 2018. This year marks the 70-year anniversary of the re-birth of the nation of Israel. Restored as a nation on May 14, 1948, the Jewish state is now home to 6.5 million Jews, more than any other nation for the first time in modern history. Relocating these displaced peoples back into their ancient homeland was no easy undertaking. Their ancestors had been displaced throughout the nations for almost 2,000 years. There is no other ethnicity found in history that has survived that long of a worldwide Diaspora, nor two entire desolations of, and complete dispersions from, their historic homeland. The first desolation and dispersion lasted for 70 years beginning around 586 BC during the reign of the Babylonian Empire. The second spanned from 70 A.D. when the Roman Empire destroyed the city of Jerusalem and the second Jewish Temple, until the rebirth of the nation on May 14, 1948. 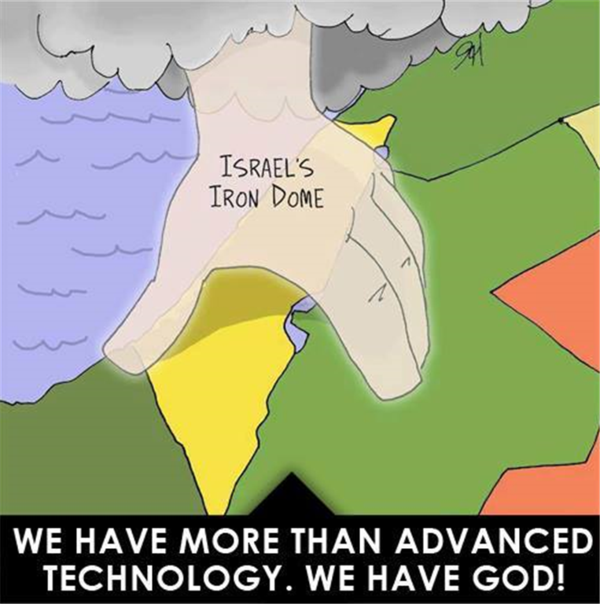 The existence of Israel today is a modern-day miracle, but if so, to what or whom, should the credit for this unprecedented wonder be given? The United Nations, which legislated the existence of Israel through its resolution 181 on November 29, 1947. Certainly, after the horrific Jewish genocidal campaign of the Nazi's during the Holocaust, the surviving Jews deserved international sympathy and compassion. However, was it the UN or the sovereign God working through the UN that caused the creation of the Jewish state? 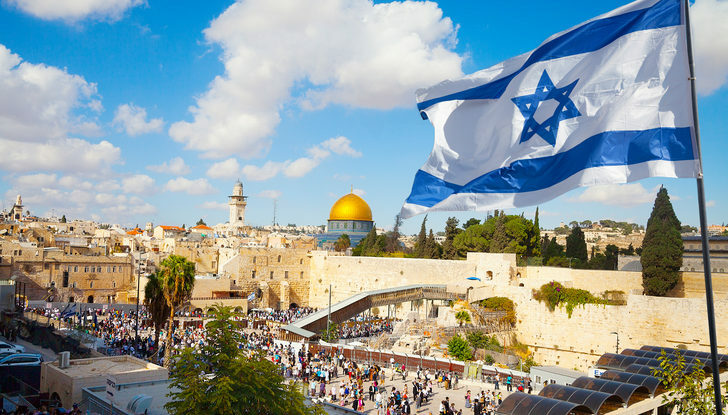 The Lord has worked through Gentile nations in the past to accomplish His sovereign purposes concerning the Jews in relationship to their homeland of Israel. The Babylonians were used as a tool to separate the Jews from their land as part of a divine disciplinary act according to Jeremiah 25:8-11. After the completion of this historic dispersion, the Lord utilized the Persians with their infamous King Cyrus to restore the Jews to their land of Israel in Ezra 1:1-6. So, if the acclaim goes to the UN, then why has this international body tarnished this trophy by passing more negative actions against the Jewish state than any other world nation? Hundreds of Anti-Semitic UN Resolutions concerning Israel have been passed since the initial UN Resolution 181! Or, should the marvel of Israel's existence be accredited to the God of the Bible? The answer to this question is YES! This is understood by the fact that the Jewish state today fulfils multiple ancient biblical predictions. These are foretelling that were penned thousands of years ago on the ancient parchments of both the Old and New Testaments. 1. Hosea 3:4-5 - The Israelites would be many days without a sacrifice, but would return to their ancestral homeland in the last days. The Jewish sacrificial system essentially ended around 70 A.D. when the Romans destroyed their second Jewish temple. To date, they still anticipate the day that they can rebuild their temple and reinstate their animal sacrifices. 2. Isaiah 66:8 - Predicts that Israel would be restored as a nation in "one day." May 14, 2017, marked the 70-year anniversary of the fulfilment of that miraculous "one day" prophecy. 3. 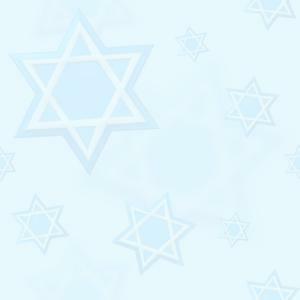 Ezekiel 38:8 - This verse also prophesies that the re-gathering of the Jewish people would happen in the latter years. 4. Ezekiel 20:34 and 36:24 - Informs the Jewish re-gathering would be a worldwide phenomenon. 5. Ezekiel 37:11-12 - Declares that the Jews will be restored after experiencing a horrific holocaust. Just prior to their re-gathering they will say; "Our bones are dry, our hope is lost, and we ourselves are cut off!" Then He said to me, "Son of man, these bones are the whole house of Israel. They indeed say, 'Our bones are dry, our hope is lost, and we ourselves are cut off!' Therefore, prophesy and say to them, 'Thus says the Lord God: "Behold, O My people, I will open your graves and cause you to come up from your graves, and bring you into the land of Israel, Ezekiel 37:11-12. 6: Isaiah 11:11 - Foretold that this re-gathering will be a second and final time that the Jews will be restored to their Promised Land. 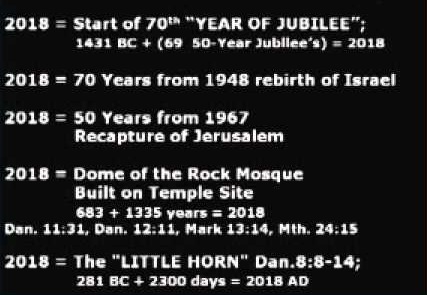 The consensus among some Bible prophecy teachers is that the first return was from Babylon around 539 BC and the second time correlates with this present re-gathering. 7: Zephaniah 3:9 - Proclaims that a single language will be implemented, which will enable the Jews and Gentiles to call upon the Lord together in the same tongue. 8: Matthew 24:15-22 - Predicts that in the future, the Antichrist will enter a future Jewish Temple and commit an abominable act. Jesus warned the Jews living in Israel at the time that when they witness this event to flee immediately because a time of Jewish persecution and great tribulation will ensue. When conditions in Jerusalem will allow for it, the Jews are prepared to construct this very temple that Jesus alluded to in this prophecy. The point is that Israel had to be restored as a nation for this prediction to find a future fulfilment. That Israel exists today! One of the most convincing prophecies, which evidences that the existence of Israel today has God's conspicuous fingerprints upon it, is quoted twice in the book of Jeremiah: Firstly, “Therefore behold, the days are coming," says the Lord, "that it shall no more be said, 'The Lord lives who brought up the children of Israel from the land of Egypt,' but, 'The Lord lives who brought up the children of Israel from the land of the north and from all the lands where He had driven them. 'For I will bring them back into their land which I gave to their fathers,’” Jeremiah 16:14-15. And Secondly, “Therefore, behold, the days are coming,” says the Lord, "that they shall no longer say, 'As the Lord lives who brought up the children of Israel from the land of Egypt,' but, 'As the Lord lives who brought up and led the descendants of the house of Israel from the north country and from all the countries where I had driven them.' And they shall dwell in their own land," Jeremiah 23:7-8. Although these two verses appear repetitive, it is important to note an important distinction. Jeremiah 16:15 relating to Jeremiah 23:8 clarifies that the Promised Land given to the Jewish patriarchs, Abraham in Genesis 15:18, Isaac in Genesis 26:3 and Jacob in Genesis 35:12, whom are referred to as "their fathers," belongs to the Jews today as part of their God-given inheritance. If the international community recognized this historical fact and Israel's Arab enemies accepted this Biblical truth, then Mid-East peace might be attained. Presently, US President Donald Trump is preparing a Middle East “peace plan.” It is likely that it will be introduced sometime in 2018? It is highly likely that it will not achieve its desired goal of resolving the Arab-Israeli conflict in general and the Palestinian-Israeli dilemma more specifically. It probably won't line up with God's Mid-East Peace Plan; rather it will follow the same failed footsteps of US President's Clinton, Bush and Obama. Time will tell! The Biblical formula for achieving peace in the Middle East is provided in an ancient prophecy by Jeremiah. Unless US President Trump's Mid-East peace proposal aligns with Jeremiah's, it is doomed from the start. Regardless of what the Lord our God recognized would be the future case, He still had Jeremiah prescribe the prophetic remedy for all world leaders to adhere to. Unfortunately, the International Community is thoroughly clueless of, and apparently uninterested in, the Lord's benevolent plan for Mid-East “peace.” However, that has not prevented the Lord from paving the way for peace. With the collapse of the Ottoman Empire after World War 1, the Lord's resettlement process was enabled. As the Turkish Empire lost its control over the Mid-East region, the Arabs and Persians regained their statehoods. (Persia was renamed Iran in 1935) Then, in 1948, Israel became a reality in fulfilment of the - afore mentioned biblical prophecies. God's plan is effectively in place. Apart from the displaced Palestinian refugees (who came from surrounding nations) - the evil Arab neighbours, as was predicted, have been restored, "everyone to his heritage and everyone to his land." However now, the evil neighbours must comply with the rest of Jeremiah's prophecy, which is; "And it shall be, if they will learn carefully the ways of My people, to swear by My name, 'As the LORD lives,' as they taught My people to swear by Baal, then they shall be established in the midst of My people,” Jeremiah 12:16. This WILL NOT HAPPEN! Jeremiah instructs those “plucked out”- “evil neighbours” to swear by the God of the Bible. This is their only obligation as part of God's compassionate peace plan. The Lord has held up His part of the bargain, He restored the Arab states, but the evil neighbours have not complied by swearing their allegiance to Jehovah. They worship Allah and rather than embrace their Jewish neighbours, they have attempted to destroy them. As such, they will soon face their punishment, which is; “But if they do not obey, I will utterly pluck up and destroy that nation," says the LORD,” Jeremiah 12:17. But how…? And when…? Could 2018 be the year that the Lord deals with Israel’s evil Arab neighbours? What does the future hold for 2018? There are several prophecies that are ready to roll off their ancient parchments and pound down upon the pavement. These are powerful globally impacting predictions that will have an adverse effect, even upon Americans. These prophecies lack preconditions, which mean they could happen at the present time... The NOW Prophecies include, but are not limited to, the following globally impacting events: a) Disaster in Iran - (Jeremiah 49:34-39); b) Destruction of Damascus - (Isaiah 17, Jeremiah 49:23-27); c) Toppling of Jordan - (Jeremiah 49:1-6, Zephaniah 2:8-10, Ezekiel 25:14); d) Terrorization of Egypt - (Isaiah 19:1-18); e) Final Arab-Israeli War- (Psalm 83); f) Expansion of Israel - (Obadiah 1:19-20, Jeremiah 49:2, Zephaniah 2:9, Isaiah 19:18); g) Rapture of the Christians - (1 Corinthians 15:51-52, 1 Thessalonians 4:15-18). Apart from the Vanishing of the Christians, which alludes to the "Rapture of the Church," these prophecies are sequenced in the way that they could happen. This is not to say that any of these will happen in 2018 - but one or more of them could. Also, the Rapture is an imminent event, which means that it could happen prior, during or after any one of the above events; h) The disaster in Iran (Jeremiah 49:34-39). The prophecy of Ancient Elam in Jeremiah 49:34-39 could be the next Biblical prediction to find fulfilment Maranatha Yeshua – Jesus!